Several years ago this class 4A patient had a strip procedure performed before having a CIT (Cole Isolation Technique) procedure done. Through the years, the patient’s hair loss progressed and the loss of native hairs on the scalp were replaced with newly transplanted hairs to add density in the receded areas on top of the scalp. Last year, the patient came to Dr. Cole for about 1500 transplanted CIT grafts to maximize the patient’s previously strip harvested donor resources. 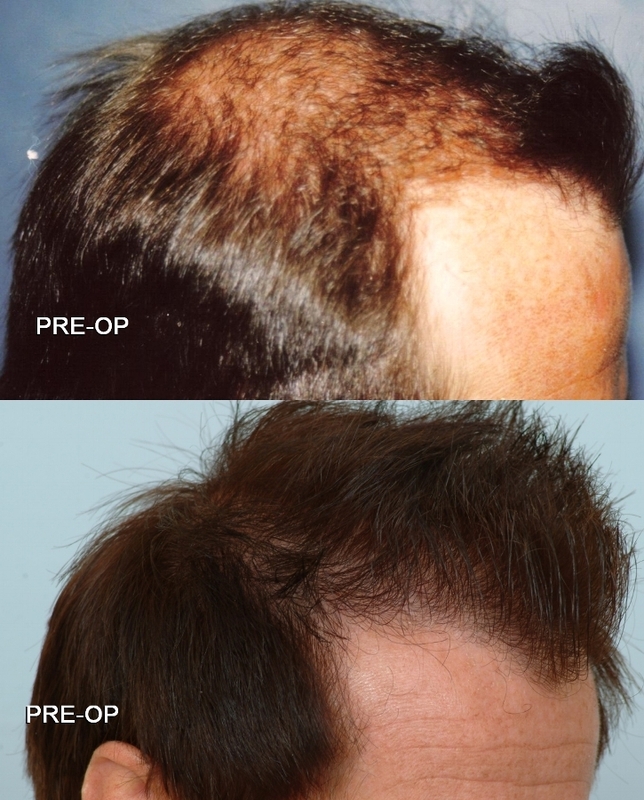 In 2007, the patient’s goal was to add density to the top, frontal scalp and temporal points. 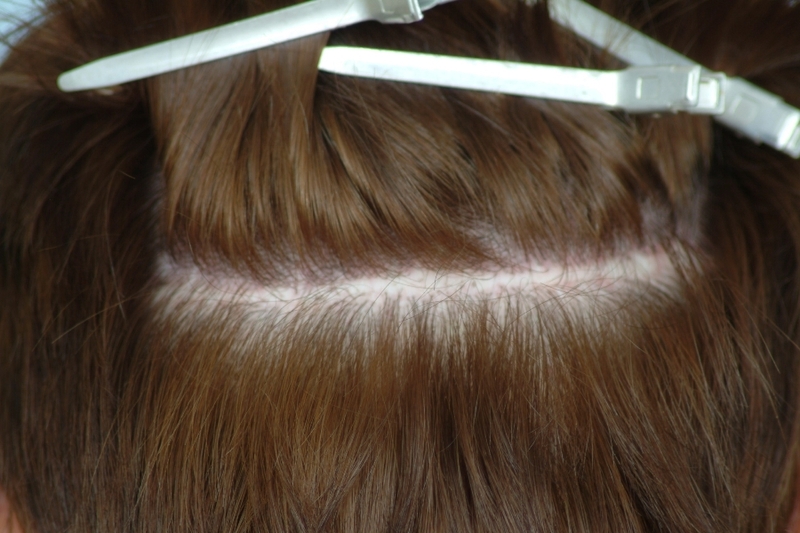 This patient’s donor area is comprised of a very fine caliper of hair with slightly above average hair density of about 190 hairs per cm2 with 180 being average. 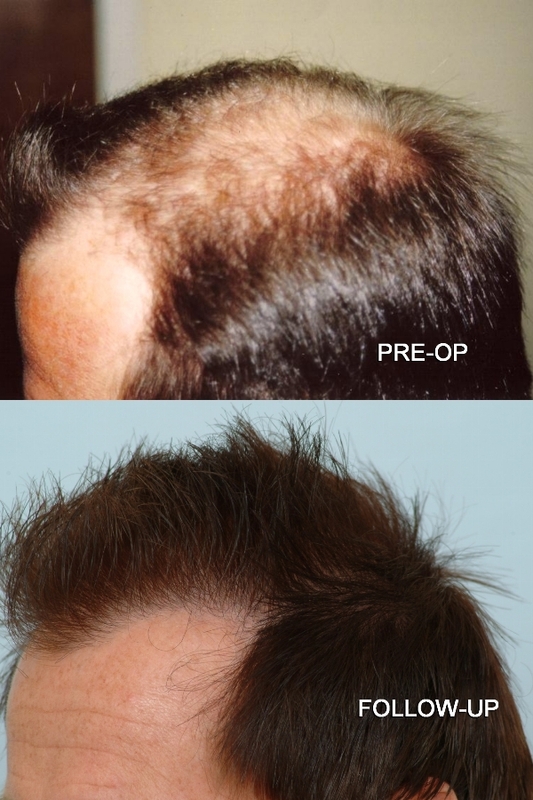 As you can see, the recipient area requires larger and smaller follicular units of better quality for optimal coverage. The patient recently came in for a touch-up to the frontal hair line and is very pleased with the outcome of the CIT procedure. The patient reported that the CIT was much less painful, caused less soreness and was much less invasive than his prior procedure. This patient looks much more youthful at 12 months after the CIT treatment and is expecting to see thicker hair in the coming months. Our clinic often uses live patients to show the quality of our work. Dr. Cole discloses the pros and cons of CIT to the patients. We offer several CIT hair transplant preparation methods and also specialize in restoration of the finest facial hair. Often times we show the quality of our work through photography, video or by live patient viewings. 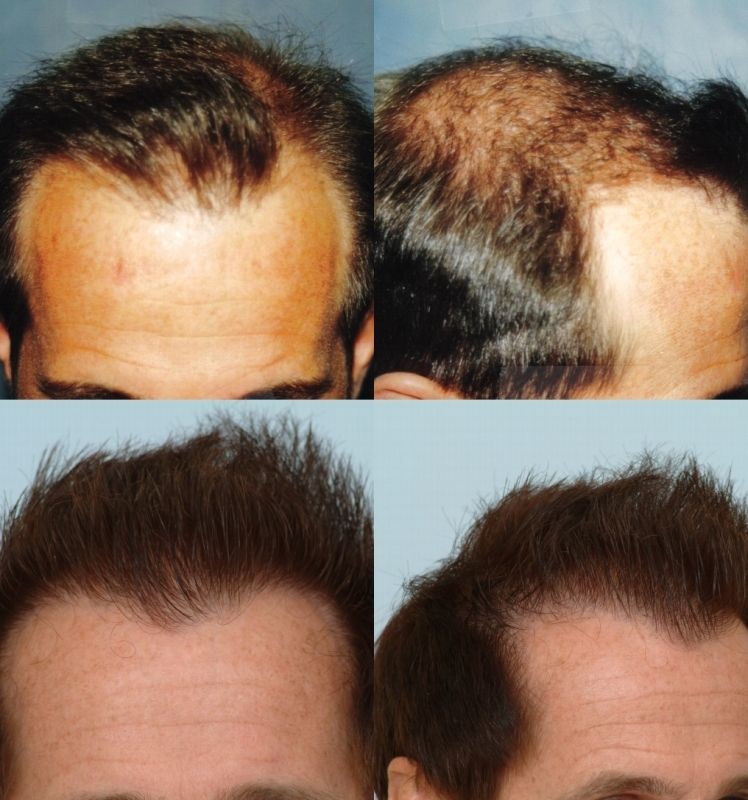 We strive to achieve our patients’ goals in hair restoration by transplanting fewer grafts for ideal coverage. The freshly positioned follicular unit grafts are placed in the most natural fashion possible without the use of a scalpel or stitches. Could I see a comparison of a strip scar and CIT scarring, if CIT has any scarring at all? » » receded areas on top of the scalp. Last year, the patient came to Dr.
» » average hair density of about 190 hairs per cm2 with 180 being average. » » scalpel or stitches. This patient has recently come by to touch-up the frontal hair line but he chose CIT and not to shave the donor area. We were able to capture on shot of the donor area which has been harvested by CIT and strip (FUT). Below is a photo of the hair clipped up to show the donor area. You can see that the linear scar isn’t too wide but you may or may not be able to see any visible CIT scarring. This patient actually came in for C2G and we didn’t shave any of the donor area. You can see the linear strip scar but no traces of previous CIT extraction. With CIT, our form of FUE, patients have the ability to wear a much shorter hair style than strip (FUT) patients. The extractions are shallow and instruments are custom engineered for optimal donor area results. CIT enables the surgeon to only harvest the follicular units necessary for the most ideal results on the recipient area. In the end, the patients pay for each intact graft because extracted grafts are placed as harvested. Attached are more comparison photos for those hair line lovers. Looks good. Why don’t strip patients put grafts in the strip scars? Seems like everyone would want to cut their hair shorter some time. I think it’s safe to say that the majority of patients who had strip method performed do go ahead and fill-in the linear scar. The patients are told that there is limitied blood supply and that the rate of graft survival is also unpredictable but we have seen that dense packing scars isn’t in the patients’ best interests. What is dense packing? The context the words are used in would lead me to believe that it would be putting alot of grafts into the strip scar. If that is so, why wouldn’t that increase the chances of filling in a scar? » that is so, why wouldn’t that increase the chances of filling in a scar? That would decrease the survival rate and the yield would be affected appropriately.